Amidst the ongoing trade war between the US and Europe, iconic two-wheeler manufacturer Harley-Davidson has decided to shift some of its production overseas to avoid retaliatory tariffs imposed by the European Union. The increased tariffs are in response to US President Donald Trump’s latest trade measures. Trump has responded saying he was surprised by the bike manufacturer’s decision and said he wasn't expecting the 117-year old to be the first one to raise the white flag. 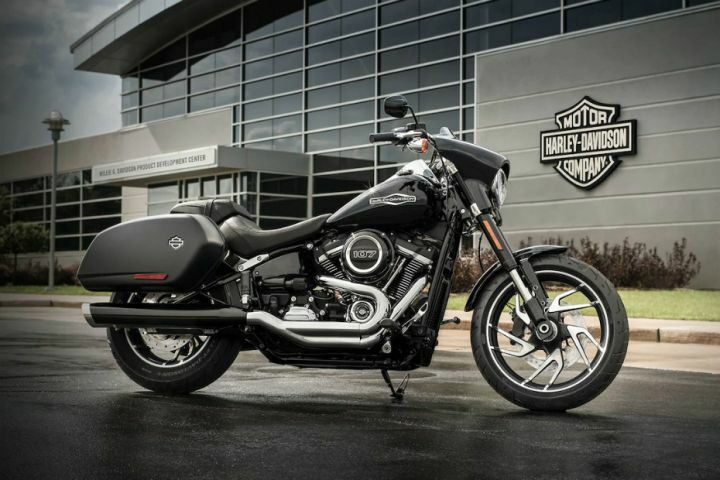 Harley-Davidson’s announcement comes as an unplanned consequence of Trump’s administrative efforts to protect American jobs by levying tariffs and import duties on European steel and aluminium. In retaliation, the European Union has slapped heavy tariffs on American goods such as bourbon, yachts and motorcycles. This will ultimately result in duties on the American-made motorcycles increasing from the current 6 per cent to a whopping 31 per cent. Simply put, each Harley-Davidson motorcycle exported to the European market could see an additional cost of approximately $2,200 (Rs 1.5 lakhs) on an average. The announcement also led to Harley’s shares dropping nearly 6 per cent ($41.37 per share) in early afternoon trading owing to a selloff at Wall Street. So what's the big deal with the European market? It’s quite important to the manufacturer as the European market accounts for nearly 16 per cent of all Harley’s sold overseas, which makes it the biggest market outside of the US. To give you a better perspective, the company shipped a total of 2,41,498 units last year, out of which over 40,000 units were sold in Europe alone. The Wisconsin-based company could take about 18 months to shift production overseas. However, the move will help the manufacturer save up on the additional import duty in the long run. The shift to overseas production could take the company around 18 months to complete. However, it could help Harley save a lot of cash in the long run by avoiding the additional import duty. Currently, Harley-Davidson has a total of four manufacturing and assembly plants outside of the US. These include Adelaide, Australia; Manaus, Brazil; Rayong, Thailand and Bawal in India. The Bawal plant, which was established in 2011, was the bike maker’s second ever facility to be set up outside of the US. Could Harley use this facility as a base for its operations, especially to cater to the European market? Well, we’ll just have to wait and see, won’t we?